Michelle Engler As a very young child I wanted to become a ballerina or a teacher. Like many young girls, I took my first dance lessons when I was four years old. My years at the Morca Academy of Dance in Bellingham, Washington and the Richmond Academy of Dance in Richmond, British Columbia nurtured my love of ballet and taught me to appreciate all of the many forms of dance, including jazz, tap, modern, and musical theatre. Over the years I expanded my interests to include other performing arts I enjoyed, including piano, violin, and singing in choirs. In high school, I discovered my love for drama as well, choreographing and performing in numerous musicals, plays, and productions. I also began volunteering in local kindergarten classrooms. Realizing how much I loved working with small children, I knew I had found my calling in life. After graduating from high school with honors, I attended Whitman College in Walla Walla, earning a Bachelor of Arts degree in History and an Elementary Education teaching endorsement. While attending college, I continued to pursue my love of dance and performed in several productions. I also spent 5 exciting years working at The Kid's Place, a wonderful Reggio Emilia inspired preschool. After completing my student teaching in Walla Walla, I moved to Richland and began teaching in the Richland School District. For eight years, I taught first grade, as well as kindergarten and second grade. While teaching, I earned my Master's Degree in Teaching from Grand Canyon University and my Professional Teaching Certificate from Central Washington University. For the last eleven years, I have also enjoyed teaching at the Tri Cities Academy of Ballet and Music. SHAYLEE MECHAM Shaylee is a graduate of Brigham Young University Idaho where she earned a Bachelor of Science in University Studies and a Minor in Music. She has been teaching private piano lessons and the Music for Little Mozarts at Tri-Cities Academy of Ballet and Music for 4 years. 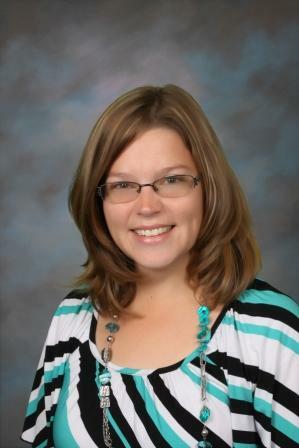 Karena received her BA Degree in Elementary Education from Brigham Young University and is a certified teacher. She is the mother of four children. She began dancing with Tri-Cities Academy of Ballet and Music at the age of seven. She studied ballet, jazz, tap, and was a member of the Mid-Columbia Ballet Company for four years. She performed in MCB’s ballet The Nutcracker for eight years as well as two full-length ballets; Aladdin, and Giselle. She has received awards and scholarships at the Spokane Music and Arts Festival, Summer Dance Labs, and Oregon Ballet Theatre. Karena was a member of Kamiakin High School’s Dance team for three years. During this time she won the All State Title in Jazz twice at the State Competitions, and competed at Nationals in Orlando, Florida. She was also selected to dance in Paris, France with Universal Dance Association.